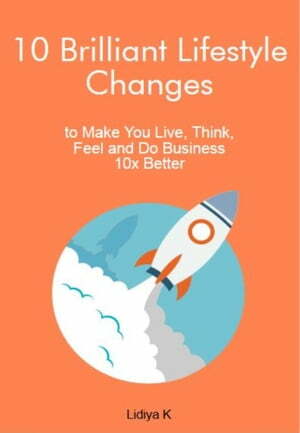 Collins Booksellers - 10 Brilliant Lifestyle Changes to Make You Live, Think, Feel and Do Business 10x Better by Lidiya K, 9781370694853. Buy this book online. 10 Brilliant Lifestyle Changes to Make You Live, Think, Feel and Do Business 10x Better is your guide to slowly getting to a point in your life where everything will be balanced, you’ll keep doing your work and getting things done daily, but will feel much happier, will be more efficient, your mind will be clearer and your body in top condition, and you’ll be truly satisfied with the results you get. Ready to hack each of these things, after years of wanting to improve yourself and the quality of your life? Well, today seems like a good day to begin and this book and the 10 awesome lifestyle changes it shares is enough to let you take the first steps and see progress pretty soon.